You are not required to make an offer in a certain way by law (see Fair Trading). You can literally make an offer in any way you desire, it is only once money and contracts start to be exchanged that things start to get serious. 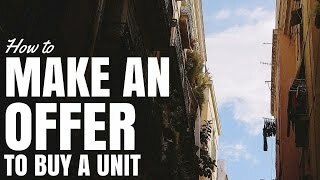 It is important to note that an offer on a unit works very similar to the offer on a house. So most of the below information is applicable to houses as well as units. Ok I kid (about #8) but you really can make an offer in any way you desire as long as you are serious. Please be aware that making an offer in Queensland is a little bit different. Most offers are made in writing and when accepted form a contract for sale. Your offer does not have to be just a figure straight out. You may also want to negotiate on the terms of the agreement. I would like to offer $1,000,000 with a 7 day settlement providing a 4.5% deposit prior to settlement. I would also like the owner to provide a 100 inch Samsung LED TV free of charge. 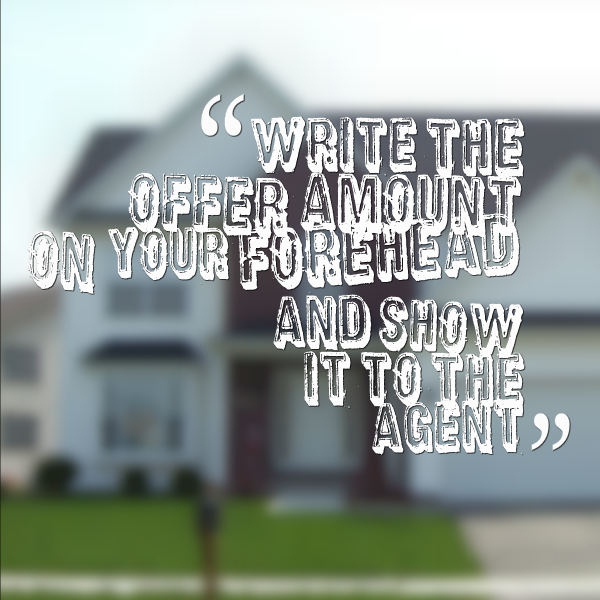 After you make an offer the agent will take the offer back to the seller. In most cases they are obligated by law to take that offer to the seller, even if it is a low ball offer. Not all agents will do this and very few buyers will force their hand with the agent, still it is good to be aware of this. Once the offer is accepted an exchange of contracts take place and you are required to pay a small deposit, usually 0.25% of the purchase price. This changes from state to state. Look at this graph to see what is required in your state. In most cases you will enter into what is called a cooling off period – in NSW the standard cooling offer period is 5 day, but this can be extended or removed completed if necessary. If you withdraw your offer during that cooling off period you will lose the 0.25% deposit you paid for the property. In most cases a more substantial deposit is paid (usually around 10% of the value of the property) after the cooling off period ends, but this is negotiable and may be paid at the exchange of contracts. After the cooling off period you are obliged to purchase the property. If you fail to do so you lose any agreed upon deposit you have paid. Most agents request a 10% deposit but this is negotiable. You then have a period of time, commonly 6 weeks, until settlement date. This is where you pay the seller the remaining amount for the property and you take over the ownership of the title. If you fail to pay the owner on settlement date there may be associated fees and if you cannot pay at all (due to lack of financing etc) the seller may be entitled to keep your full deposit. There is no cooling off period when your offer is accepted at an auction. If you are the successful bidder you will be asked to immediately sign the contract for sale. You will then have to pay the deposit specified in the contract unless otherwise agreed. When bidding always be confident and clear in your offer. You do not have to increase bids by the amount the auctioneer suggests, you can make any offer you want (even if it is just $1 more) but the auctioneer also has the right to refuse any offer. Speak to the agent prior to the auction to let them know you are a serious bidder, as the auctioneer is not allowed to accept bids from non-serious parties (sometimes known as dummy bidding).